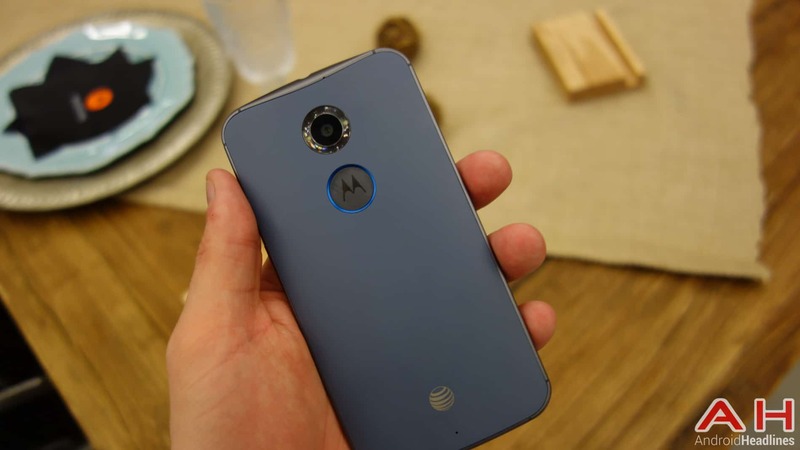 This past week, Motorola decided to start yet another sale for the Moto X and the Nexus 6. And it’s a big one. Clearly, this is their Summer blowout, clearing out stock for the next generation of the Moto X. I bit the bullet, and bought a 2014 Moto X using Moto Maker. Knowing as much as I do, and having multiple test phones on my desk at any given time, you have to wonder whether or not I’m crazy, after all I know that there has to be a new Moto X coming later this Summer, so why buy an ‘old’ smartphone now? I currently use an Xperia Z2 as my own personal phone, and have a couple of G4s on my desk as well as a G Flex 2. The Moto X is, in many ways a downgrade from the Xperia Z2 and perhaps worlds away from the G4, so why buy it? Well, obviously there’s the fact that it was cheap. Living in the UK means that every and any piece of technology is more expensive than it is the States, so a price tag starting at £229 had my interest. I have a great monthly SIM-only deal for £23 a month with unlimited data, so why go and defeat the object of getting a cheaper contract by spending Nexus 6 money on a smartphone? I took the plunge and built a colorful Turquoise Moto X with some engraving and a black front, I didn’t go for wood or leather as I had heard that the wood is disappointing and the leather quite susceptible to scratches. So there’s the whole price thing to think about, but then I also fancied a change. I love the Xperia Z2, and I realize that the Xperia Z3+ is hitting shelves shortly as well, but Sony have been using the same design for years now, I enjoy the digital elegance of the Z series, but I wanted something else. I wanted a change. Software features weren’t much of a concern for me, I have a Nexus 9 for pure Android, and Sony do an excellent job of letting Android just be Android, rather than actually changing things just for the sake of it. Admittedly, the prospect of basically stock Android does sound nice, but software is pretty much the same to me unless it’s LG and Samsung’s maniacal creations, of course. The Snapdragon 801 inside of the Moto X is pretty old by modern standards, but you know what it does really well? Not overheat. I’m convinced that the whole Snapdragon 810 heating thing is blown out of proportion, but I’ve tested the M9 and the G Flex 2 and they do get warm, but more than that the aggressive up, down and then down again throttling just doesn’t do it for me. What made the Snapdragon 801 and 805 such good processors is that they’ll built with custom core designs, the Snapdragon 810 isn’t, and I’m not interested in a phone with an 810 in it, knowing that Qualcomm can and will do better. The Nexus 6 question is an easy one to answer; it’s too big and it’s too expensive. For the things I use my phone for these days, a Quad HD display is nice, but I have a Kindle and tablet for reading, and a Snapdragon 805 would be nice, but I have a PS4 and tablet for gaming. Those last couple of points lead me to the real reason I bought a Moto X, and would perhaps consider buying another if my experience is a positive one; I just want a phone to live with. I deal with specs and design questions all day long, frankly, it can get a bit much. I want a phone that just works, and works fairly well, with few hoops to jump through. I also want a phone that isn’t either black or white, and the Moto X allows me to sport a silly bright color that I have always wanted to own. I could have bought a different case or skin for my Xperia Z2, I am well aware of that, but where’s the fun in that? My days of messing around with custom ROMs and bootloader unlocks are behind me, changing SIM cards and swapping phones every three to six months is much more trouble than its worth. Perhaps if Google could get their backup plans together, it wouldn’t be so hard, but with all the phones I see pass through my desk and get released, it’s refreshing to have a phone that works and feels like yours, a Moto Maker phone could do just that for me. The post Android Headliner: Why I Bought a Discounted Moto X appeared first on AndroidHeadlines.com |.